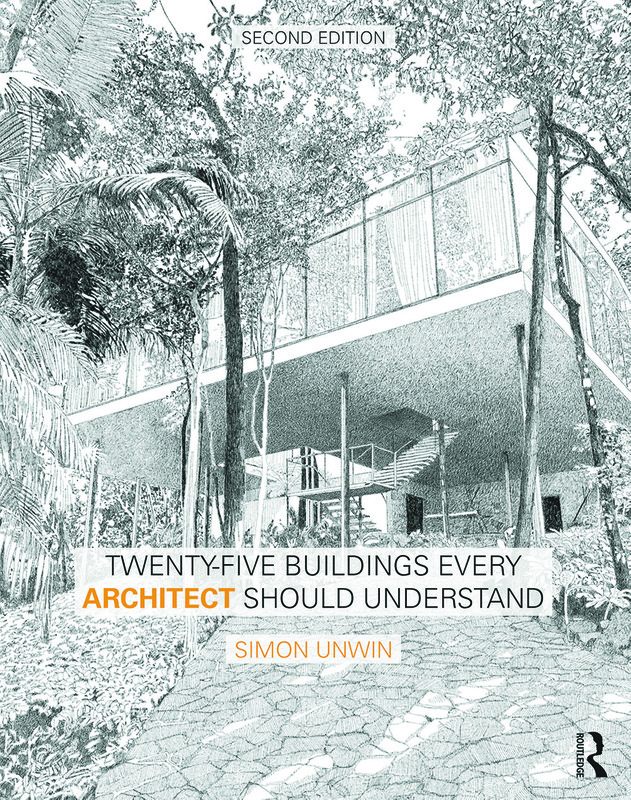 Twenty-Five Buildings Every Architect Should Understand is an essential companion to Simon Unwin’s Analysing Architecture, and part of the trilogy which also includes his Exercises in Architecture: Learning to Think as an Architect. Together the three books offer an introduction to the workings of architecture providing for the three aspects of learning: theory, examples and practice. Twenty-Five Buildings focusses on analysing examples using the methodology offered by Analysing Architecture, which operates primarily through the medium of drawing. In this second edition five further buildings have been added to the original twenty from an even wider geographical area, which now includes the USA, France, Italy, Mexico, Switzerland, Spain, Finland, Germany, Australia, Norway, Sweden, India and Japan. The underlying theme of Twenty-Five Buildings Every Architect Should Understand is the relationship of architecture to the human being, how it frames our lives and orchestrates our experiences; how it can help us make sense of the world and contribute to our senses of identity and place. Exploring these dimensions through a wide range of case studies that illustrate the rich diversity of twentieth and twenty-first century architecture, this book is essential reading for every architect. Simon Unwin is Emeritus Professor of Architecture at the University of Dundee, Scotland. He has lived in Great Britain and Australia, and taught or lectured on his work in China, Israel, India, Sweden, Turkey and the United States. The international relevance of his book Analysing Architecture is indicated by its translation into Chinese, Japanese, Korean, Persian, Portuguese, Russian and Spanish and its adoption for architecture courses around the world. Twenty Buildings Every Architect Should Understand has been translated into Chinese and Portuguese.